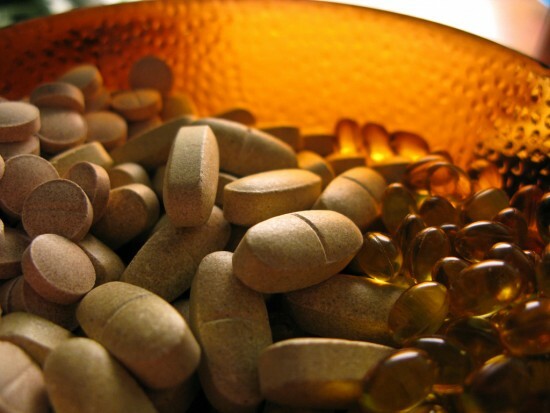 Vitamins are molecules that are needed in your body to create a certain reaction. Your body, by itself, cannot make these vitamins; it has to come into your body through the food you eat or by taking vitamin supplements. Different vitamin molecules maintain different areas or systems of your body; just like gasoline in your automobile gives your car fuel to run. Every essential vitamin you need can be found in the foods you eat every day; the problem is, many people don’t eat enough of these foods or sometime don’t eat these foods at all and the body reacts to those insufficiencies. Vitamin molecules are carried through your body and into your cells; sometimes these molecules need binders to help carry the vitamins to their specified destination. It is a complex and amazing aspect to human biology; far too complex to fully explain in just one article. I will break down the most essential vitamins your body needs, how they work, and what foods you can find these vitamins in. Needed and is an important factor in maintaining a healthy immune system. Best food source for vitamin A is liver; however it is recommended that you only consume liver once or twice a month. Other food sources are cheese, egg yolk, skim milk, and butter. Is important in turning carbohydrates into glucose to keep your glucose levels under control. It is also important for maintaining a healthy nervous system. Best food sources for vitamin B are milk, liver, fish, nuts, asparagus, sea food, soy beans, egg yolks, plums, and brown rice; just to name a few. Is important to help boost our immune system and helps reduce or helps build immunities to colds to shorten and severity of symptoms. Best foods to get vitamin C are citrus fruit, strawberries, cantaloupe, kiwi, potatoes, and sweet peppers. Recommended daily allowance is 60 mg daily. Helps to absorb calcium which is essential to prevent bone loss or bone weakness. Getting sufficient sunlight is the best source of vitamin D but other sources are found in milk fortified with vitamin D, eggs, butter, and some cereals are also fortified with vitamin D.
Is said to help prevent cancer, strokes, and heart disease. It is also thought to be helpful in reducing the signs of aging. Food sources that are best for getting vitamin E are nuts, soy bean, wheat germ, whole grains, fruits and vegetables. However, cooking food tends to destroy the greater portion of vitamin E.
Is important to help blood clot as well as helps build and strengthen bone. Best source for Vitamin K is in green leafy vegetables such as spinach, broccoli, cabbage, and turnip greens. The recommended daily allowance for Vitamin K is 45-60 mcg for an adult. Certainly the best source to get your daily vitamins is in the foods you eat, but that is not always possible. It is recommended that you take a multivitamin daily to ensure that you get the essential vitamins and minerals your body needs to keep functioning properly. Deficiencies in any of these vitamins can cause any number of problems within your body systems; just the same as if you don’t put oil in your automobile’s engine, it will eventually blow up and become useless. Society has become so faced paced and many people are replacing healthy meals with fast food items; many of these fast food items lack the essential vitamins your body needs to keep functioning properly. As we get older our body begins to lose certain functions; maintaining good eating habits and ensuring you are getting all the essential vitamins your body needs can help delay the loss of those body system functions that we lose as we get older. Bone loss is a good example as well as memory and eye sight; all these functions can be maintained and made stronger by taking in the necessary vitamins your body needs. If you are pregnant it is very, very important that you take the recommended prenatal vitamin your physician suggests for you. You as well as your unborn baby need these vitamins; you need them to maintain your vitamin levels as you are sharing what you get with your unborn child. Your unborn child needs those vitamins to mature as healthy as possible while still in the womb. After your child is born, your pediatrician will recommend the type of vitamin your child needs for healthy growth, both physically and mentally. Early development is so very important in your child’s life and making sure that they receive the best possible start in life will help them to build strong bones, teeth, muscles, and cognitive abilities. It is especially important to make sure your child gets some kind of vitamin supplement when he or she reaches the age when they tend to not want to eat as much as they used to. Children should continue to get a vitamin supplement all the way through to adulthood to ensure they are building a strong and healthy body.